Good football team, great beaches, delightful tapas, and dreamy architecture. There's just nothing bad about Barcelona, the Mediterranean seaside captial of Spain's Cataluyna region. Here are a few can't-miss attractions to put on your itinerary. 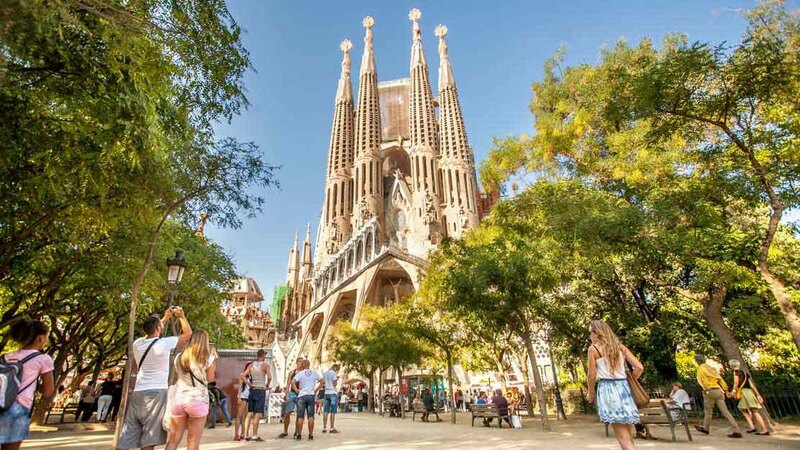 Your Barcelona trip isn't complete without a visit to the Sagrada Familia (named a minor basilica by Pope Benedict XVI in 2010), dreamt up by Catalan architect Antoni Gaudí. 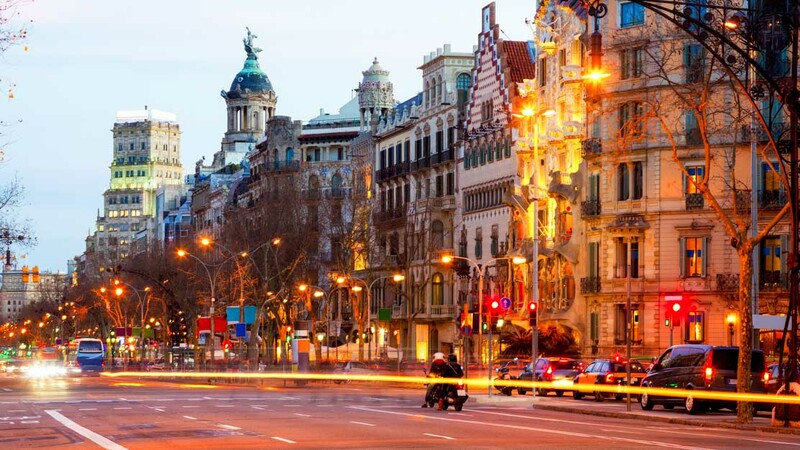 Heading north from Plaça Cataluyna, Passeig de Gracia is the richest street in the city. Look up as you walk -- you won't want to miss the architecture along this road. If you're a fútbol lover, you'll be heading to Camp Nou. 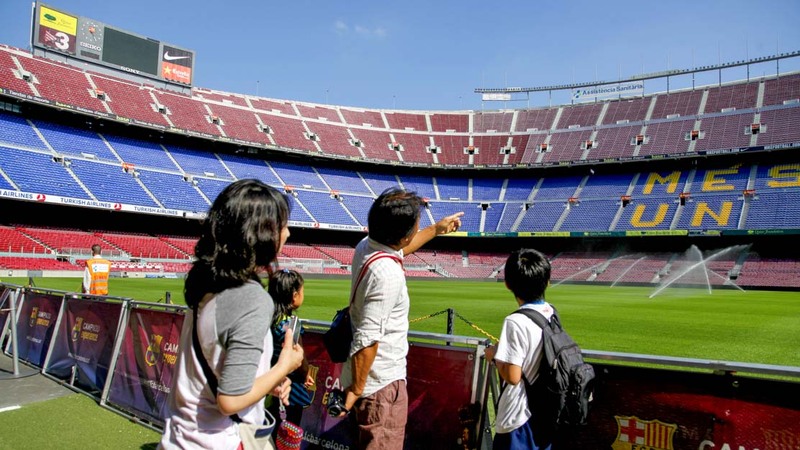 Spain's biggest stadium, seating over 99,000 fans, has been home to the Fútbol Club Barcelona since 1957. 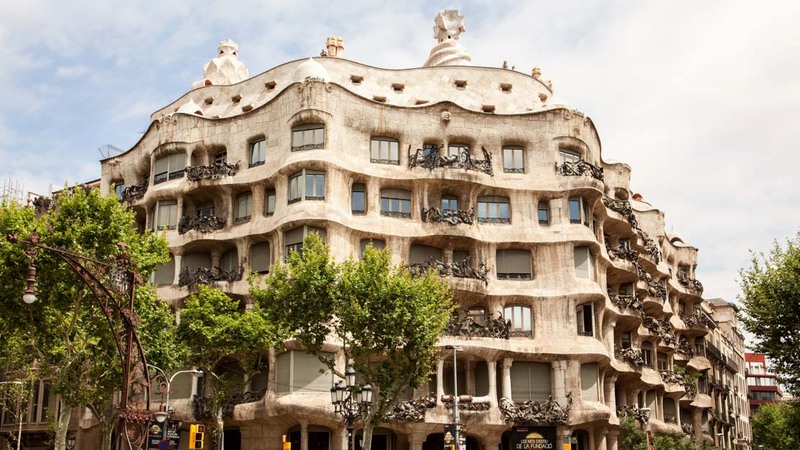 Known as "the stone quarry," Gaudí's ambitious Casa Milà is one of the most famous buildings from the early 20th century Catalan Modernisme (Art Nouveau) period. From 1902 to 1906, Gaudí remodelled a perfectly ordinary apartment building for Josep Batlló, a textile tycoon. 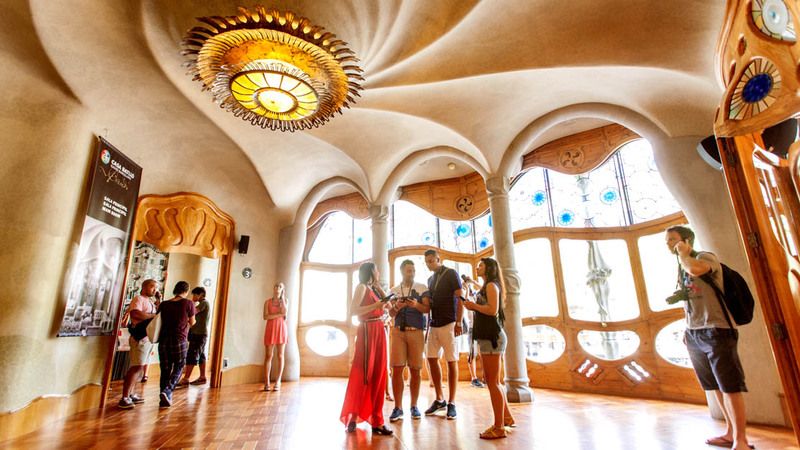 Tour the inside of the Casa Batlló to get a glimpse of Gaudí's incredible detail work. 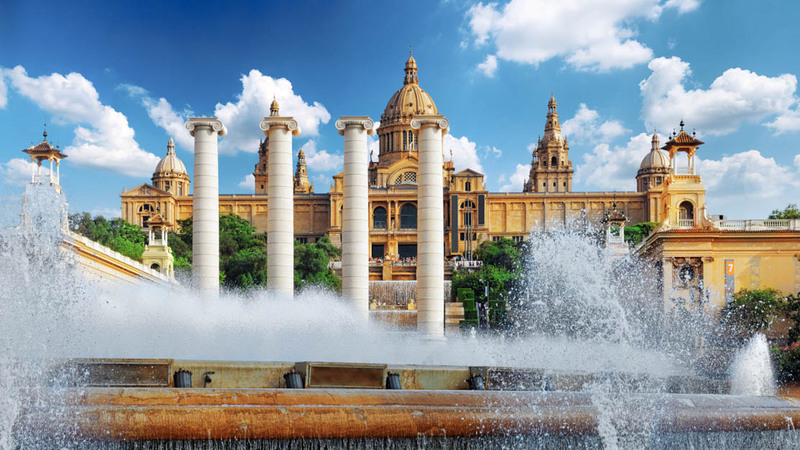 The national Catalan museum of visual art is housed inside the very regal-looking Palau Nacional, which sits high atop Montjuïc. Go for the art. Stay for the park and the views. Barri Gòtic, located in the Ciutat Vella district, is the heart of Barcelona's old city. Explore its romantic, tiny alleys -- the perfect setting for lazy tapas and great photos. Consider a daytrip to see the Catalan landscape. 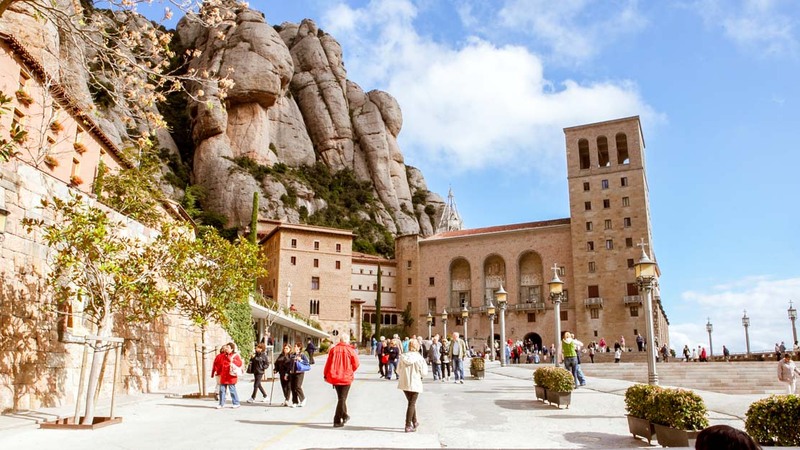 An hour's train journey from Barcelona, Montserrat is most well-known as the site of Benedictine abbey, Santa Maria de Montserrat. 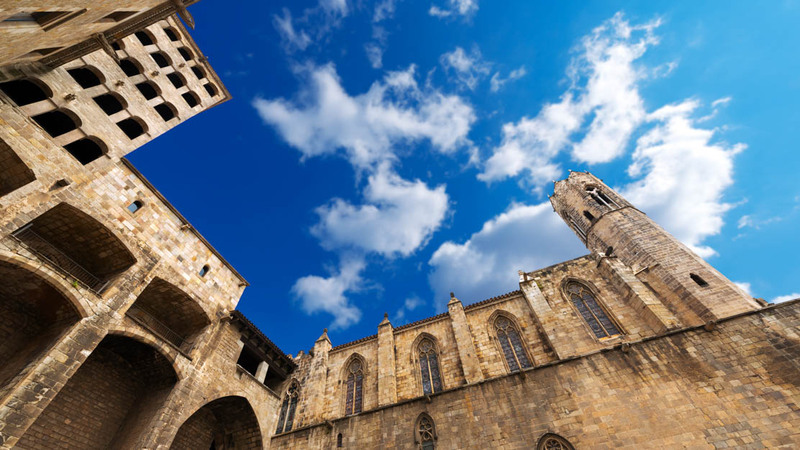 The "King's Square" is a 14th century square inside Barri Gòtic. The square and its Palau Reial Major, Cataluyna's royal palace, paint a picture of Barcelona's medieval history. 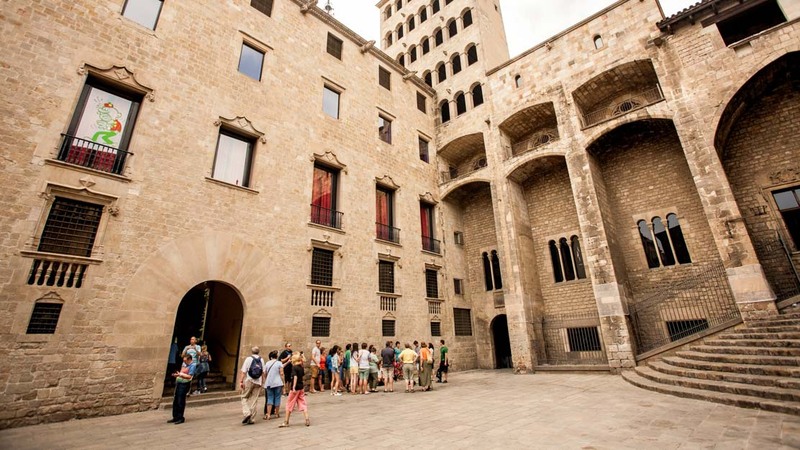 The City History Museum conserves Barcelona's historical heritage, dating all the way back to Roman ruins. The museum is located in Plaça del Rei. 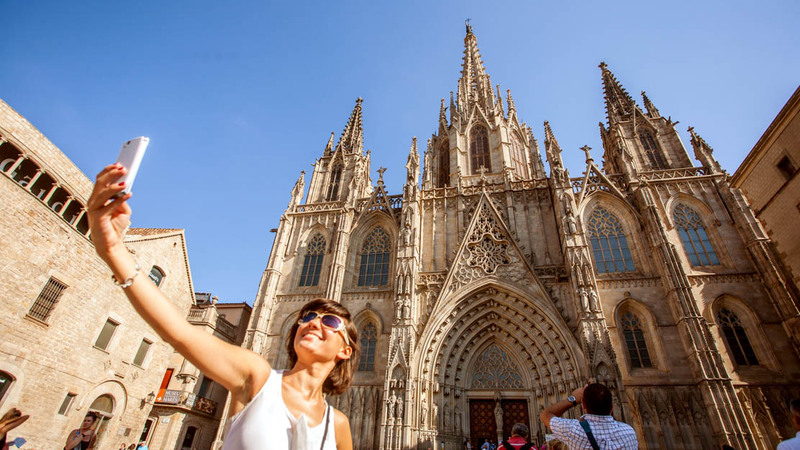 How many days should you spend in Barcelona? There are plenty of fun things to do in Barcelona -- especially if you're also planning on partaking in the infamous nightlife scene. In three full days, you could visit all the major Gaudí sights, as well as the Picasso and Miró museums. You could also stay for a week or more. As for what to do with your extra days? Well, you'll have plenty of time to spend at the beach, visit the nearby village of Sitges, or go shopping in the Gothic Quarter. What's the best way to get around town? Barcelona is a wonderful city to explore by foot. You can easily stroll from La Rambla to the beach and then back to the Gothic Quarter in one afternoon. The city is pretty flat, so biking is an excellent option. If you love transportation, we suggest taking a trip to Tibidabo, the 1890s amusement park that overlooks the whole city. You'll take the metro, a tram, and a funicular -- and a ferris wheel ride, if that counts! Which tours are the most fun? We're glad you asked! From hot air balloon rides to bike tours to all-access guided walks of Gaudí masterpieces, there are a dozen options to spice up your Barcelona tourism. A lot of the architecture-based sightseeing is enhanced by the history and descriptions that a guide can offer you. Barcelona is a beach city at heart, so it's most lively in the summer. If you want to experience Barcelona at its best, schedule your trip around the festival of Sant Joan, or the "night of fire." Each year on June 23, the city celebrates with bonfires and parties until dawn.